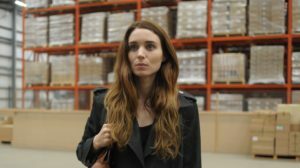 Looking to resolve her past, Una (Rooney Mara) confronts Ray (Ben Mendelsohn ), her former neighbour, at his work place, seeking answers. As buried secrets and forbidden desires start to surface, they begin to threaten the stability they have found in their new lives. The film is based on the play “Blackbird” that was written by David Harrower. Benedict Andrews (National Theatre Live: A Streetcar Named Desire) directed and Rooney Mara (A Nightmare on Elm Street, The Social Network) takes the lead role alongside Riz Ahmed (Jason Bourne, Rogue One: A Star Wars Story), Ben Mendelsohn (The Dark Knight Rises, Bloodline) Tobias Menzies (Casino Royale, Atonement), Indira Varma (Game of Thrones, Hunted) and Tara Fitzgerald (Legend, Brassed Off). The production chose to film in Kent in June 2015, using Dungeness, Greatstone and Lydd which feature as a remote hideaway location. The Dungeness, Greatstone and Lydd coastal area boasts a unique and large expanse of sandy beach backed by dunes and the largest shingle desert in Europe. Ginger and Rosa (2012), The Poison Tree (2012) and Parade’s End (2012) have previously used the area for filming. Una is released in cinemas from Friday 1st September 2017.